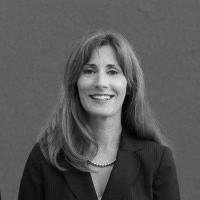 Managing Director Kristine Kopsiaftis consults with public and private entities to provide a full range of services with respect to the design and management of the suite of executive benefits programs, including deferred compensation, after tax plans, and executive life and disability programs. Inspired by her knowledge, diligence, and her skill in hearing both what clients say and fail to say, organizations engage Kristine to provide creative, performance-driven strategies for attracting, retaining, and rewarding highly compensated executives. Kristine has in-depth experience in all areas of Corporate Owned Life Insurance programs that include insurance chassis design, investment options, and regulatory and compliance issues. Her extensive nonqualified consulting expertise includes benefit plan design, asset management, and funding administration and security. Kristine has also begun working with companies to provide greater support on the day-to-day management of employee benefit plans and to find ways to save companies money by containing costs without sacrificing benefits. In every capacity, Kristine serves her clients with experience and the utmost attention to detail. Kristine Kopsiaftis Lampert is affiliated with Valmark Securities, Inc. Securities offered through Valmark Securities, Inc. Member FINRA/SIPC. Investment Advisory Services offered through Valmark Advisers, Inc. a SEC Registered Investment Advisor. 130 Springside Dr., Akron, OH 44333. 800-765-5201. Fulcrum Partners LLC is a separate entity from Valmark Securities, Inc. and Valmark Advisers, Inc.